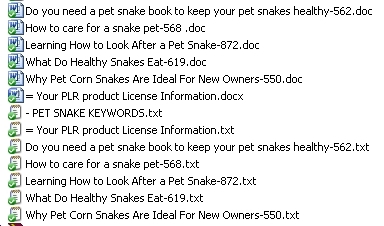 This exclusive to here set of 5 x How to Care for and Health of pet Snake PLR article pack cannot be bought anywhere else. These pet snake care, health and breeding tips articles are very informative on the subject and contain a heap of information in the 550 to 870 words in each article. 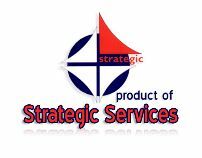 It has five exclusive PLR articles in both .txt and .doc – click on the graphics above for the list of article Titles. 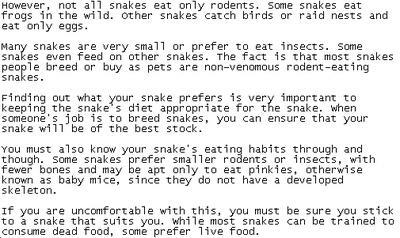 You can see a sample section of one of the how to Care for and Health of pet Snake articles in the images above. Just click on the picture thumbnails above to view them full size. 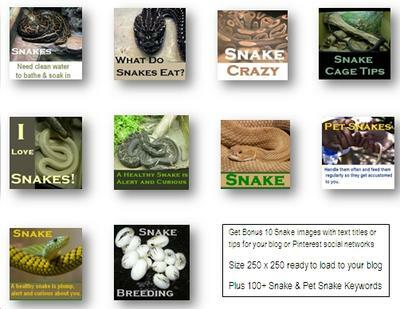 Also included is a bonus pack of TEN royalty free pet snake graphics – Click on the graphics above to see a composite of the graphics included for free.